← RALLY TURKEY REVIEW – KIMI TAKES 5TH PLACE! So: Kimi Räikkönen, The Kimster, The Iceman, call him what you will: you might think his leap into rallying has not followed anything like what could be called a traditional path. 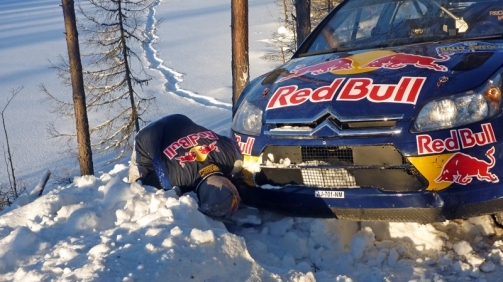 Rally Sweden was his 6th ever rally. Normally, at that stage of a career you’d expect to put an entry in on a single venue event – the Smeatharpe Stages, in Devon, say – or, if you’ve shown great promise, something really big, such as the Dukeries or the Harry Flatters, on Epynt. 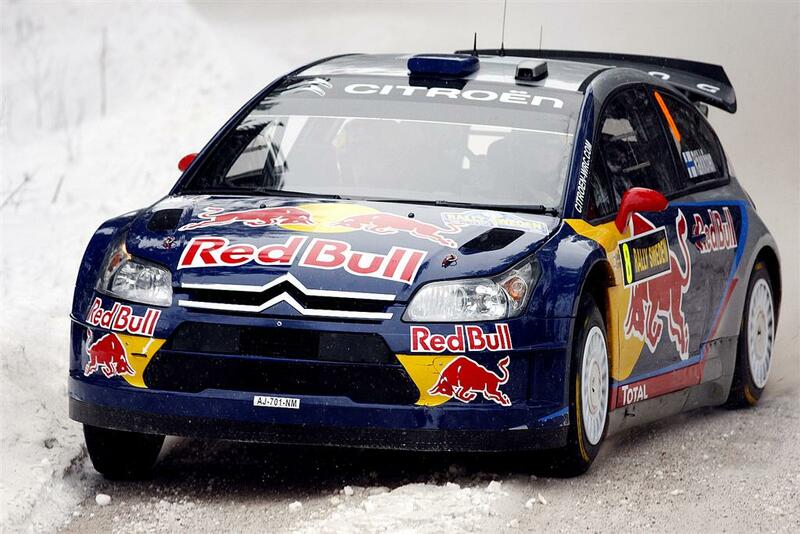 Not Räikkönen: he jumped straight into the WRC and its first round of 2010. The resulting level of hype puffed up around him has been astonishing, ridiculous even, with some people predicting a top-five finish or, Lord help us, a podium. Yes, I know he’s a world champion racer but as the sainted Martin Brundle has often said of top rally drivers: “They have skills that we, in racing, don’t”. Modern-day World Rally Cars are probably the most complicated ans specialised machines in any motorsport, anywhere. To expect even a Formula One ace to move in and instantly challenge the likes of Hirvonen, Loeb, Latvala, Sordo, Solberg et al is plain madness. Not that such fever will have unsettled Räikkönen himself too much. He’s not noted for caring a great deal what others think and he knows the score perfectly well, as he made plain after his inevitable 26 mins in a snow bank on the first day. “It was a mistake but I don’t have the experience at the moment and so it will happen,” he said. Point made and sure enough, he went off again briefly on his first run through the Sägen stage and again on the final day. Mind you, watching him in the tight confines of the Hagfors sprint, you could easily see his style of driving. Basically, he’d get the car planted with grip, mash the throttle until power and speed overcame that grip, then recover and repeat the process again and again. It’s a method that demands lightning reflexes and brilliant, instinctive car control. Perhaps he feels at home with it, because that was why he was the only one who could drive the F1 Ferrari fast in the year when it was rubbish. In the end, though, he’ll learn it isn’t the fastest way with a WRC car. He was between tenth and 13th fastest on most stages, but towards the end of day two he seemed to get it a bit more, banging in five top-ten times in all with a best of sixth. Equally, imagine Loeb had been signed for Toro Rosso this year and been promoted to the main Red Bull Racing team in 2011. Could you see him setting a sixth-best lap time in his first grand prix in the top team? No, I thought not. 3 Responses to KIMI: NEXT STOP SMEATHARPE? Absolutely. Kimi has nothing to prove to anybody, but he’s still as impressive as ever. Well, there’s no matching Kimi, surely. He’s the man! Looking forward to more of him, be it WRC or (I hope)F1.